Blue recycling bins in Edison Park. CITY HALL — For the second year in a row, city officials vowed to redouble their efforts to keep recyclable material out of the trash — and from filling up landfills — but it's an uphill battle. Only 10 percent of the trash produced every year by Chicago residents is kept out of landfills, officials said. "We have to do a better job recycling," said Streets and Sanitation Commissioner Charles Williams. "We need to change people's behavior." Raising the city's recycling rate by just 3 percent would translate into an extra $400,000 to $500,000 in savings for the city, which could be used to replaced old or damaged garbage carts, Williams said. The market for recycled goods is not very robust because of the low price of oil, Williams said. "We're helping our planet," Williams said. "We can't give up on it." The city's contract with two private firms that pick up recycling in parts of the city under a deal inked by Mayor Rahm Emanuel in 2011 shortly after he took office expires next year, and can be renegotiated starting in April, Williams said. 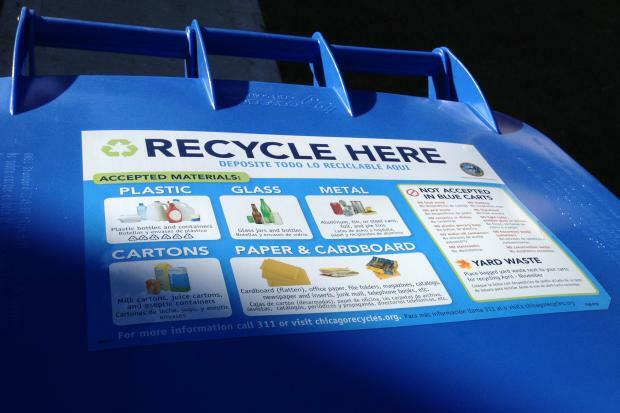 Some Chicago Neighborhoods Barely Recycle, Can New Program Change That?